How long you should study for the GRE is an important consideration. Though between 1 to 6 months is the norm, there is no one simple answer. Taking a personalized quiz can give you a better idea of how long to study, and help you avoid cramming. Maybe you’re a quantum physicist with a penchant for vocab who enjoys spending your time solving really convoluted math problems (while penning purple poetry). If that’s you, then you could cram for the GRE by whipping through the ETS Official Guide. Now that you have a better idea of how long to prepare for the GRE, you can find the perfect study schedule for you here. We have study schedules ranging from 1 week to 6 months! I am a student studying B.Tech and have completed 4th semester in India. Can you tell me the ideal time to prepare for GRE and TOEFL? Hey, I’m planning to take the Magoosh Premium Plan. I would like take the exam in the first week of April so would be following the 2-3 months weekly plan. Just tell me how many hours do I need to study daily to achieve my target score. 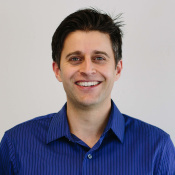 I am a Master’s student of Electrical Engineering with industrial, academic and research background planning to do my PhD in one of the top 10 schools in the US. I believe I will be able to get a full score in the quantitative part and my main concern is that I am not a native English speaker and I will have only a month to get 160+ in the verbal part. Do you think it is possible? do you have any tips for me? So, unfortunately, it is hard to say whether or not you can get a 160+ in the verbal section as there are so many variables. For example, this will highly depend upon what your starting point is, your flexibility and ability to devote quality time to your studies, how you already handle standardized exams and the stress, etc. If you’re not that far off from your goal, then it may be very attainable. If you’re very far from your goal, it may be more challenging. I would begin by first taking a mock exam or doing some Verbal problem sets to gauge your current level. Then, if that 1 month deadline is not flexible, I would check out our study plans, go through the content, and spend extra time focusing on your areas of weakness. I am a beginner for GRE test and I need 160+ in both sections and at least 4 in analytical writing.I am planning to take IELTS and GRE exam in 2017 (earliest time might be in July). So, probably I have about 6 months to prepare for exam. Is it possible to get these scores with this time frame? As I am working person, I can spare 1-2 hours per day and 5 days a week. May I kindly ask your expert suggestion to reach my goals. Thank you so much. It’s very difficult to say your score potential. Some people can take the GRE and score that high without studying at all, and some will study for months or years and still may not reach that goal. Whether or not your can achieve those elite scores has to do with your study habits, ability to assimilate and remember information, your critical thinking abilities and, of course, time. The longer you give yourself to study, the better your chances at a strong score! I have a week to prepare for the GRE Test. I am not a Math person at all. I can say that I will do well in Verbal Section so I intend to put in the hours for that. I am scared about the Quant. section. Any additional advise for me? I am using the 1 week study plan. What is the best advise for me related to the Math section. A week isn’t a long time to prepare, but you can definitely do your best to improve your understanding of the most important math concepts! You can use this to guide your studies. For example algebra is much more important than probability, so it’s best to focus your energies in the concepts that can help you the most! There are the couple of things I want to know regarding GRE. 1) Is the period of 3 months is enough to ace GRE (300+)? how much time should i spend daily? 2) What strategy do you think must be devised to ace GRE for the period of three months? 3)There is a lore that reading too much will help in acing GRE verbal section; I am an avid reader Which authors should I read for GRE or books that are full of GRE vocab? Hi, I have graduated last June but MS was not my plan until now. I have just made up my mind to apply MS for fall 2017, but i haven’t started any preparation for GRE. So my question is that do i have enough time for preparation and text because most deadlines for most of unis on my wish list is early December 2016….? 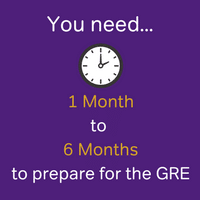 You need to remember that it takes a minimum of 2-3 weeks from the date of your test for the scores to even reach the universities, so it is probably too late to hit early December deadlines unless you can take the GRE in the next two weeks or so. Are you sure that is a hard deadline? Often it is still possible to apply later, though you aren’t given preference. I have recently completed my bachelor in civil engineering.I am planning to apply for the fall session 2017. Having said that, I am worried about the deadlines of universities, I am looking to apply for since I haven’t start to prepare for GRE . Is one month is sufficient enough to get a high score as I need a full scholarship. How shall I plan for preparing GRE? How long you need to study really depends on you–how much you need to learn, how quickly you assimilate new materials, how ‘good’ you are at standardized test, and how much time you put into your studies. If you are already pretty comfortable with the subjects that will be covered in the test, then a month can definitely be long enough to get a solid score! You’ll need to make sure that you learn the best strategies, most efficient problem-solving methods, and have high-quality practice material. 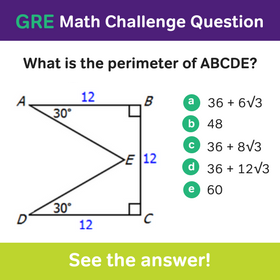 If you like our blog, you might like our comprehensive GRE product. You can try a 7-day free trial here! A 20-point increase in a month is ambitious, and will require a lot of hard work and dedication on your part. You need to make sure that you use high quality materials and really take the time to learn the concepts and strategies you will need for the test. You can check out our 1 month study guide for an idea of the pace you should work at and what concepts you should cover. I am an american citizen (native English speaker) but have received my entire education (bachelor’s degree included) in Belgium, in French. I also graduated 5 years ago from my Bachelor’s degree (studied in French) so not so fresh! I just ordered my books from ETS and am starting a 10 session prep course mid October (goes until mid November). I am applying to grad school and the deadline for applications is January 15th so I will need to send my GRE score by that date with my application. Do you think I will have enough time to study and get a good score to get into grad school? Also, how much time daily should I plan on studying? When should I take the test? Thank you for the help! I got a email from a university asking to retake a GRE exam inorder to reach there minimum requirement. I had got v-144 and Q-155. They dont have problem with my quants, they only asked me to improve my verbal. I have scheduled my exam after 3 weeks, i am a non-native English speaker, can you give some tips which can improve my verbal in 3 weeks. The first thing I’m going to recommend is that you work on making sure you are comfortable with high frequency words. So go to our Vocabulary eBook. You should look at the chapter “Most Common GRE Words” that starts on page 11. You will want to be as familiar as possible with all of these words. They are the most likely to show up and be important for you on the exam. Then, when you’re comfortable with those words, head to our GRE vocabulary flashcards. Try to learn 10 new words each day. Instead of thinking about learning all the advanced words, focus on just adding a few more to your vocabulary each day. When learning new words, make sure you learn them in context. That means learning the definition AND learning when, where, why, and how the word is actually used. 1. Watching the explanation video and/or reading the text explanation. 2. Looking up the words that you didn’t completely understand. 3. Rereading the passage or sentence, question, and answer options. Challenge yourself to understand the question and answer so well that you could explain them to somebody else. You will also want to read as MUCH as possible over the next few weeks. This will improve your knowledge of vocabulary in context as well as your comprehension. As you read, make flashcards of the vocabulary words that you don’t know. Pause every so often and recap the main message in your own words. For some specific articles suggestions, I’d recommend browsing through our “GRE Article of the Month” series. Remember to keep reading as much as you can and diligently work through practice problems to learn from your mistakes! I hope you find these suggestions and resources helpful! I have been preparing for GRE for a month now. I scored 310 the mock test a week back. I aim for a score above 320 and I’m giving the test in October end. Please tell me how should I go about increasing my score. I’m making silly mistakes in quant whereas only after the mock test did I get acclamated to the verbal section. I scored 157 in quant and 153 in verbal. Try us for free for 7 days! And as you are deciding, I highly recommend that you check out this blog post for some ideas on how to avoid those ‘silly’ mistakes. I am unsure what I should do. My scores aren’t consistent. When I first started studying about a month and half ago I took Manhattan prep test and scored a 307. I then took the first ETS powerprep and scored a 294. I took the Kaplan test and then scored 304. I then retook the first ETS and received a 312. This week I took a princeton review and Kaplan test (paper based) got a 297. I am taking the GRE next week (September 1st). I am shooting for about a 310 or higher. However, since my scores are not consistent I don’t know if I should push it back. I still have a week, but is that enough time? Also when should I take the second ETS to see where I am at? So take that second ETS test, and a few more from the OG, ASAP. If you’re well below a 310 on your ETS exams, you may not have time to get your score to where it needs to be by test day. But it sounds like you may be where you need to be. Either way, it certainly doesn’t hurt to try for 310+! Thank you so much for the great advice! I have decided to push back my test two weeks. I took the second ETS and scored a 296. Besides taking the other practice test. What would you suggest I do in the next week weeks. It seems like my problem lies with verbal. The first thing I’m going to recommend is that you work on making sure you are comfortable with high frequency words. So go to our Vocabulary eBook. You should look at the chapter “Most Common GRE Words” that starts on page 11. You will want to be as familiar as possible with all of these words. They are the most likely to show up and be important for you on the exam. The next thing you want to do is to spend some time doing more practice questions. I recommend that you study as many questions as possible—particularly the questions you answer incorrectly. Your goal is to understand inside and out how to answer verbal questions (strategy) as well as why the right answer is right and why the wrong answers are wrong. Your goal is to be able to explain the question to another student! This will increase your knowledge of what and how the GRE tests your verbal knowledge, and help you maximize your current level of knowledge. Studying in this way will also help you practice the exact kind of deep, active reading skill that you need to succeed on the GRE. Thank you again for all the great advice! As you mentioned above, I should get the OG revised book. However, are the test in this book different from the free download of the powerprep II? I have one more question. I just took another practice exam, Crunch prep. I am unsure how accurate that test is but I scored a 302. (152 in math, 150 in verbal). My test is next Friday September, 16. This is the latest I can take it because my scores are due October 1st. I am becoming a bit nervous because I am not reaching that 310 mark like I hoped. Other than the tips given above, do you think it is possible to raise my score by next week? Unfortunately, we don’t have much information about the quality of Crunchtest’s tests or questions. But in general, I would trust a practice test score from a free source like ETS Powerprep or Manhattan much more than CrunchPrep–so if you haven’t taken those tests yet, I highly recommend that you check them out! While it is difficult to say how much you can improve in just a week, I recommend that you spend some time with focused review and take at least one more practice tests, preferably Powerprep. Once you take a Powerprep test, look at the results and see where your weak points may be. Take the time to really study the questions you miss and see if you can understand how to correctly solve the problem (we provide free explanation videos for some of the questions in Powerprep–just google “Magoosh + first few words of question” to see if we have it). Ive scored 316 on the ets powerprep mock test .. Should I take my test withing the next month to get a 325+? I’ve just started with my undergrad college and I’m really determined about getting highest marks in GRE. I know I have 4 years but I really want to start now. Do you think it’s a good idea as I’ve heard that people often get bored and they are not that productive compared to when people study for shorter period of time but intensively? And what should I study now if you say that the shorter but intense study is better? First of all–I am impressed that you are already thinking about studying for the GRE! You are already way further ahead than many of your peers 🙂 There are a few things that should think about as you make your decision. The longer you study, the better your chances of getting a high score–but you must be studying consistently and intensely for the duration of this time, because the GRE requires specific knowledge and strategies that are easily forgotten! Most students find that they are prepared after they study about 2 hours a day for three months. This allows you to delve deeply into the content and gain a deep understanding of the methods and strategies, but it’s not so long that you will burn out or forget what you learned at the beginning. Some people study for longer (4-6 months) because they need to build skills such as reading comprehension and general math knowledge. You also have to consider that GRE scores are only valid for five years, so you don’t want to take it too early! If you start thinking about the GRE about a year before you plan to apply to grad school, that should be plenty of time to take the test well before you have to worry about applications. For example, you might decide to dedicate the summer after your sophomore or junior year to studying. But there are definitely things that you can do right now to start preparing, such as improving your overall reading comprehension and vocabulary through https://magoosh.com/gre/2015/active-reading-strategies-for-the-gre/, building your mental math skills and understanding of https://magoosh.com/gre/category/math-concepts/math-basics/, and researching the schools you are most interested in to set realistic score targets. If you work on these skills right now, it will be much easier to study for the GRE when the time comes! I have done 1 GRE practice test so far without preparation and I scored 284. My question is, ¿How many points I can improve in 3 months?¿What is the average score that people normally improve? That depends a lot on your background and how much time you can devote to studying. If you got a 284 because of content and because of the odd GRE style, it would be absolutely doable to see an increase of 15-20 points once you have internalized the GRE style and more content. If you only missed problems due to concepts, then you have a lot more good, old fashioned studying ahead of you and our students in that case typically improve 8-10 points on average (though some do far more)! I have taken one GRE practice test and I scored 287. I have also taken a GMAT test and scored 400. Do you think it would be easier for me to get a competitive score with the GRE test? My verbal and math abilities are equal. So your GMAT score puts you about in the 12th percentile and the GRE score of 287 is hard to judge without knowing the quant and verbal scores individually. If we assume they break down evenly, that means you are roughly at 143 in each skill, which is between the 15th and 18th percentile. 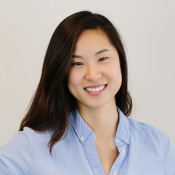 This means that you have a slight advantage in the GRE versus GMAT, but they are close enough that you could select the test that you feel more comfortable tackling (assuming both the GRE and GMAT are accepted for the programs you want). Thanks for the prompt response. In the GRE test I scored 145 in verbal and 142 in quant. I really do not know which test to choose. Hello, I have bought the subscription and have been practicing both quant and verb questions. since being a non native English speaker, how many hours should i put in to achieve a respectable score in verbal section. Also, i would like to ask the best way for learning words in context. Exactly how many hours you need for GRE Verbal study actually varies a lot. It all depends on how confident you are with your English skills, currently. As you practice GRE Verbal questions, do a lot of self assessment. Really figure out where you’re at with English. How many questions you get right and wrong, what kind of Verbal questions re the hardest for you, what your vocabulary is, and so on. On top of that, I’d recommend any movie or TV reviews you can find online. You’d be surprised at just how advanced and GRE-like most online film reviews are! I have 2+ years of experience in an IT company as a Software Engineer. I have done B.E. in Computer Scinece & Engineering. I have 2 years gap in my engineering time i.e. I completed my engineering in 6 years instead of 4 years. Also I have 1 year gap in between My High School and Higher Secondary. 1. If I get good score in GRE, will a reputed university in US/UK/CANADA/AUSTRALIA/ETC give me the admission for MS? A. If YES, How much score will I have to secure? B. How much time will it take me to get prepared? 2. Will it be worth doing MS for me (will it give me benifits as others who have been good in thier academics and all)? 3. Companies will give me job after doing MS ? Please provide your valuable guidance for letting me off from the soup like situation and let me know if any other information you need to answer my queries. Thank you. I’m a 44 year old lawyer who has been out of school for 15 years. I’ve got a little kid at home and a full time job. But, I’m looking to take the GRE and apply to a Masters Program in Asian Studies. My undergraduate, law school, and legal job require almost no math. I’m trying to make this process as “do-able” as possible. Is there any merit to the idea of totally ignoring the math and focusing only on the verbal and writing only? I honestly don’t think that most Asian Studies program look at the math school, but does it affect my overall ability to get into a program? Hi everyone, I’m applying for Ph.D. in urban planning in Harvard and I’ve just obtained an high score in the toefl test (I’m from Italy) for which I’ve studied for two months! I’ve been studying for the GRE for two weeks now and I’ve scheduled the test for the 17th of November! Giving that, and considering that I’m quite good with the math part, do you think that there would be enough time for me to go through this test? I feel like the toefl writing preparation have helped me in strengthening the GRE writing part, but I’m not sure! What do you suggest to do in order to reach my goal? I’ve plenty of material for my studies! I find this article hilarious because I recently graduated. I scored very highly on all standardized tests in grade school including the ACT and scored highly on outside academic/intelligence testing. But I keep getting DISMAL (below average) quantitative scores. I cannot for the life of me understand why the comparative questions are so hard for me to figure out. I am planning on taking the GRE in early December. To that effect, I am unsure of which materials I should use in order to maximize my chances of achieving a high score.I recently bought the ETS Official Guide to the GRE, and Barron’s GRE vocab flashcards. Right now, I am following the advice of my friend who scored very well on the GRE (165 quant and 162 verbal) and reading one chapter a day of the ETS while also learning 10 new vocab words from the flashcards daily. However, I am wondering if I should take advantage of extra preparation since I am applying to 4 top programs. Though my GPA (3.9), letters of rec, and statement of purpose are solid, I do not have a great standardized test history. I am generally very good at English; however, I am not naturally strong in math. That said, what preparation materials would you recommend given my timeline and strengths/weaknesses ? I brought the Magoosh GRE prep and I have a month to study for the GRE. I work full time so I would like to know how many hours would you recommend to study per week or per day. It is very difficult for me to study after work because I am already super tired and overloaded with information. Thanks for your question! Since you’re a premium subscriber, I went ahead and forwarded your question to our remote tutor team. Someone from that team will respond to you directly over email. Hello, I am planning for taking GRE but i have only a month for that. Please recommend me how much time i need to give it. I am so confused already. You should determine as soon as possible what your weaknesses are and make sure you tackle those extra hard on top of doing a general overview of all GRE material that you need. Ideally, you might want 2-3 months, but if you only have 1, make that the best 1 month you can! I aim to apply to a PhD program in Political Sciences for the Ivy league schools. Most of the deadlines are for the first week of December have been out of school for a year now and I am not maths-savvy at all. There are so many online tools available and I am so confused. -Do you think two months is enough for preparation? I am considering taking the GRE within the next 6 months and have just started gathering up information on the test and studying techniques. As expected I am seeing a lot of GRE prep books out there. My question is, do I need the most up-to-date edition if I’m to take the test late 2015 – early 2016? would a 2014, 2013 edition be sufficient? I am thinking about taking the GRE soon. I work full-time as a tutor for both math, statistics, and economics. I spend almost all of my free time reading difficult poetry and novels (I am not kidding). I also write in my spare time. I am applying to programs that do not even require the GRE, but where a “higher” GRE score may help me attract scholarships or financial aid, or so the schools’ websites say. I am planning on studying for two weeks, then taking the exam. I am horrible at making decisions, so I’m afraid if I put it off longer than that, I will never take the test. Do you think this sounds like a good plan? Yikes! I’m a little scared… I’ve been out of school for 20 years and my undergraduate degree was in art history (not exactly math heavy). I’m applying to a graduate program in December and I have no idea where I should even start on this journey.. I assume I need to be studying several hours a day for the next 4-5 months.. yes? Oh man, I feel you – remembering old math is rough. I think a couple hours a day for a few months can definitely get you where you need to be, as long as you follow a structured study schedule and remember to review along the way. 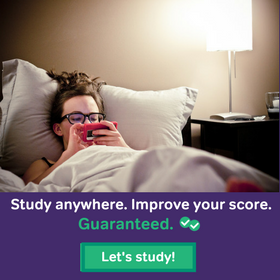 We have two study plans that might work well for you: 6 Month GRE Study Plan for Math Beginners and 90 Day GRE Study Plan (Math Focused). Both spend a lot of time reviewing math, while also spending time covering the other sections that you might already be more comfortable with. I took the GRE for the third time (I took the GRE twice two years ago), and didn’t got the score I wanted. I want to apply to a quant oriented program and they ask for a minimum of Q164 and got Q162. I studied 3 hours daily for the last month (last time I scored Q770). I think this time I got a little weaker because the adaptative section was also about math, and I got tired by the end of the exam. I scored a little higher on my practice tests (Manhattan Prep, Q 163 – 164). When is too much GRE studying? At what point should you say that you are will not score higher? If it is not the time yet, what kind of plan would you suggest me? It’s tough to say. I’d look at it from a standpoint of pacing and careless errors. Perhaps you are continuing to make certain errors that you are not really aware of–or as aware of as you should be. By anticipating reasons you get questions wrong you’ll be more on guard during the test (the reason I say this is because you’ve studied a lot–gotten 770–so basically know most of the concepts). Sometimes slowing down and being more on guard against subtle tricks can net you those extra few points. So don’t get depressed. Get a better sense of what you’re doing wrong, and use that knowledge to your advantage :). Can 3-4 weeks of preparation make a difference in improving my score?? i just now started my preparation and want to take my gre test on or before march 31st, so can you please suggest me the studying tips as i am working and unable to go for any class room trainings. Those guides will offer many study tips, everything from how to take apart a 3-blank Text Completion to the best study materials. Once you’ve gone through the book, let me know if you have any questions. I’d be happy to answer them :)! I am currently pursuing Msc degree and am planning to take up GRE on August 2014,I really have ample time to prepare but a lot scared to balance between academics and GRE.I have lost touch in Math as am basically from Computer science background, and am not that frequent reader too.Still, am very keen on learning and aiming for 320 or above. Could you suggest a way to kick start my preparation from fundamentals? Hey Chrie, I am really stressed out because I just finished a heavy fall semester and I plan to enter graduate school for 2014. Their is no deadline for the admission but i want to send it in as soon as possible. If I register to take the exam in February, how do you think i will work out for me? I would like to take it later but then i dont want to complete my application late. Please help me in what you believe I should do. This comment somehow got lost in the shuffle. But better late than never, hopefully :). So I say go ahead and register for the test this month. Just learning to prepare for the test and become more skilled at it will help, even if you don’t end up scoring that well (remember, you don’t have to send your scores to the schools). Of course if you do well, then you can apply this year. If you don’t do well, you’ll already have some GRE experience under your belt so you can retake the test and reapply next year. I am very confused on which study plan to follow. I gave a practice GRE test from Manhattan Prep Blog simulating actual test conditions and I have scored 155 in Quants and 152 in verbal . Will 3 month study plan be helpful for me to prepare for GRE? I haven’t booked my GRE dates yet .But I want to give my test by mid May 2014. Yes, the three-month study plan should work well for you, given how much time you have. If you find you are completing it before your test day, just take more practice tests. You can even repeat practice tests, esp. if there is a few months in between them. Just sitting through an ETS again is very helpful. If you need some other possible sources/problem sets you can “pick at” the 6-month plan for stuff you haven’t yet covered. Those are good scores. Take it! Please let me know is it possible to get a good score in GRE just by preparing for 3 months. Am planning to give the exam by mid April 2014.
sorry to post for the second time. (Am Freaking out T_T because of this limited time to prepare). 3 months is definitely enough time to improve by a significant number of points. A “good score” depends on the program. But as long as you can get close to 155 in both quant and verbal, you are in a good spot. This 3-month study guide should definitely help. It will tell you which resources to use and how to use them. I have been studying on and off for the past 2 months for the GRE. I scored 148 on the verbal and 143 on the Quantitative on the practice test on ETS. I am taking my actual test mid January and I was wondering if I could improve my score by 5 points each by that time. I have decided to use the Magoosh Prep and can spare up 6 hours a day on studying. Is this a realistic goal within this short time? I think that is definitely a realistic goal. At the same time the points won’t magically come just by following the path mentioned above. Make sure–in those 6 hours–to learn from your mistakes, and work at ways to constantly improve those areas in which you are struggling. That level of self-reflection is important. Some students will just watch hours of lesson videos, then do hundreds of questions, and never really look at where they are going wrong. Also, make sure that you do a few practice tests along the way to make sure you are increasing by a few points each time. My concern is that I don’t feel ready at all for the exam I’m very scared of it( I tend to get really nervous in exams) , I heard once you score low on your first test it will effect your university acceptance even if you do well the second time, would you advice me to reschedule my test or should I give it a shot regardless. Let me start off with the important part first: The first time you take the test–even if you decide to submit your score–does not have a greater weight than subsequent test scores. You can decide not to submit scores to a school, and submit only after the test. Basically, there is nothing to lose by taking the test once, but a lot to lose if you are worried about taking the test and keep pushing it out. So take the test once and think of it as a practice run. If you feel you’ve done well, accept your scores. Even if the scores aren’t great, don’t send them. As for vocab, I’d recommend about a 1,000 words. Have you seen our flashcards? Or our flashcard app? Finally, the math questions I write tend to be on the hard to the very hard side. So don’t feel discouraged :). Thank you Chris 🙂 I needed a push !! I saw the flashcards they are very helpful indeed. Sorry you got the flu–but think of this as a trial run, one in which you get to see what it is like to take the test. And yes, I know how much time little ones can take up :). I’ve been out of school for about 10 years now. I’m planning to do my Masters in Information Systems, but don’t know yet at which school. I’m a non-native English speaker, but completed my undergraduate program in the United States. I’m planning to start studying for the GRE by joining Magoosh. However, before I do so, I would like to know my baseline prior to any studying, so I can know where I’m standing. To do that, what practice test do you recommend? How should I get started with measuring my baseline? The best–and indeed some would say only–way to test your baseline is to use the PowerPrep tests. There are two of them. Use the first one for your baseline and the second one for right before you take the actual test. I am a VERY average student (not a great test taker) who has not studied in 4-5 years and I have scheduled my GRE Test 3 months out (DECEMBER 7TH = D DAY,) will this be enough time to prepare thoroughly using the Magoosh 90 Day plan? Or should I keep in mind that I may have to retake the test. My goal is to get into a top tier school. However, I would like to take the test once and move on with my life. Thanks for reaching out to us :)! The key is how you progress over the next three months. The 90-day plan is a great place to start. As you do practice tests make sure that you are steadily improving. If for any reason you are not, you can always send us a “support ticket” and we can troubleshoot ways to optimize a study schedule for you. The goal, of course, is that you don’t have to take the test again in 3 months :). To prevent them from happening, communicate with us frequently and we’ll help you get that top-tiered score :). I graduated from college a few months ago. I decided that I wanted to go to grad school, but I didn’t start looking at schools and GRE materials until recently. I have purchased the magoosh premium package and also have ordered a few of the recommended texts. Most of the deadlines for my program are at the beginning of December and January. I have not signed up for the GRE yet because I am afraid that I will pick a date too early/too soon. Some schools say take the GRE 6 weeks before the deadline, but that doesn’t leave me much study time. I know I can be dedicated to studying, I just don’t know how to pick the right date. I’m looking at taking it Nov 1, but I don’ know if that’s too late, or if I can push it back and study more. I have been out of school and studies for about 9 years now. My job consumes about 60 hours a week, have a kid to look after, am a non-native English speaker and am out of loop from maths since high school. Considering the goal of a Neuroscience PhD in an Ivy league; how much time (in months and number of hours to be required per weekday and weekend) do you think will I be requiring to prepare for the GRE from scratch? Well, you’ve come to the right place :). I commend your ambition (I have a little one at home too and know how much more difficult everything becomes :)). My advice is to definitely take it slow at first but be prepared for the long haul. In terms of hours a week, if you could squeeze in between 45 min to an hour a day, 4 days during the week, and about 4 hours scattered over the weekend, you’ll be in a good position. I discourage the weekend cram sessions, since you lose so much week to week. So let’s see…that works out to about 7-8 hours a week. At this pace, you should target anywhere between 3-6 months. That number depends on how quickly you get back into things after your study respite. Also, your baseline score is important. If you are already in the upper 150’s in both verbal and math, then getting to the mid-160’s (a good spot for an Ivy League Ph.D.) shouldn’t take too long. Check out our 3-month and our 6-month study plans. These will give you structure and guidance in the beginning–though you can tailor the plans to your needs once you’ve studied for awhile. Thanks a lot for your detailed reply. This might sound dumb, but how can I know my baseline score? Thanks again and I really appreciate your help. Not a dumb question at all — I probably should have mentioned that :). 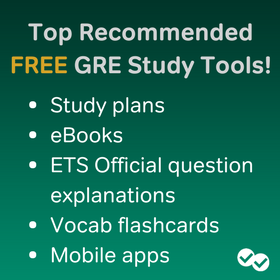 The Official Guide to the GRE by ETS (ETS actually writes the questions you’ll see test day) comes with two practice tests: The Powerprep 2.0 Test I and II. Take the first test and that score will be very similar to what you’d get if you actually went to a testing center and took the GRE. i am going to take GRE next week and i wanted to know how many question should i do correctly to get a score of 330+. That’s a laudable goal :). To get 330+, you can miss more questions on verbal than on quant, if you are going for a 165/165 split. I’d say you can miss about six questions on verbal and two questions on math and you should end up with a 330+. I just took the GRE after 1 month of prep (very hard to prep while working). I got 143V and 148Q. I am not happy with my results but retaking the GRE is difficult for me since the test center is very far from my location (I guess this is why I had a bad score, I went for the test after traveling 8 hours to reach the place and I was super tired!!!). I am trying to decide whether I should apply even with this score or should I retake it and how long should I study to improve this score? Just to be on the safe side, I would recommend that you study long enough so that you are comfortable scoring 150+V and 155+Q on an ETS practice test. That way, you can give yourself a little wiggle-room considering the lengthy travel time to the testing center. To get you started, you should look over our study guides. I’d recommend the 3-month plan, mainly because you have some experience with the test and it is a more sustainable plan than the 6-month plan (which takes an awful amount of commitment). Don’t hesitate to ask any questions. I definitely want to help you break 300 test day :). I am applying to a MPH course. They require minimum GRE scores of 295 odd.. 295-300. I would definitely retake it :). Even if your other scores tank, you don’t even have to submit them. The key is doing well on your AWA. For competitive programs a 4.5 just doesn’t cut it (esp., as you noted, the rest of your app is inconsistent). Basically go through the topic pool on Arguments and Issues on the ETS site. Practice brainstorming/outlining, plus actually writing the essay under time conditions. During the process let me know if you have any questions. As for the V and Q scores, I don’t think scoring even higher would make too much of a difference. That is not to say that a perfect score doesn’t have that wow factor. Still, you are a competitive candidate with your current scores. I’ve already taken it 15 days ago scored just 301 (V139, Q162). Right now dedicated just for GRE, how soon do you think I should retake the test ? That depends on where you hope to score on the verbal section. If you want to score close to 150V that will take awhile of diligent and focused prep. You may want to take a look at our different study plans (I think that the 3-month plan–given you hope to apply in Fall–would probably suit you best). Also, remember to take practice tests (pick up a copy of the 2nd. Edition Official Guide). This book offers 4 tests. Space them out and make sure you are improving and getting closer to the 150-level. It will be tough, but following a study guide should definitely help. Chris. I take my test Friday. What is the most important things I should remembe for the test? 3. When to skip and when to stop and think of the formula I know for a question? This is my last post possibly ever. Whatever my score, knowing I didn’t have to take the test. I felt it would have been a great idea to improve my score. Thanks for all the help. I have told people about your site and by telling them, You grade all of the books, and I have told people to just look at your blog. Keep up the good work for a future PHD such as myself. Regards, Craig. As for when to stop vs. skip, evaluate the difficulty of the problem– if it’s a tough, time-consuming problem that requires a lot of steps even after remembering the formula, it might be worth saving until you’re sure you’ll have extra time at the end. If it’s fairly simple, and knowing the formula is basically the only step to solving it, then I’d say go for it, as long as stopping to think about the formula won’t take you more than a minute. What if you already took it but it’s been 9 months since you studied and haven’t cracked anything open since. How did you do the first time? If you did okay and you just want to improve your score by a few points, 3 months or so should be sufficient! If you had a terrible time of it during your first try, then it may be worth studying for about 6 months.